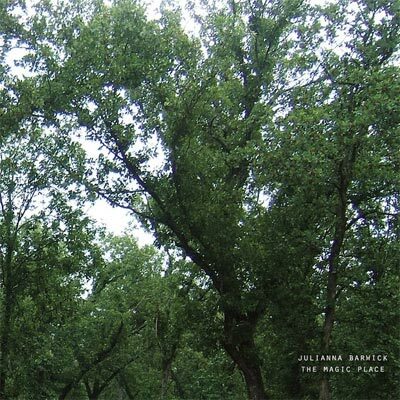 It’s really easy to get lost within The Magic Place, Julianna Barwick’s debut on Asthmatic Kitty. It’s full of cathedral-reverbed voices looped against one another, intertwining into lines that float into space and little else. Minimal, definitely. The vibe of the album is one that comes off partly as cinematic cloud formation and partly as most relaxing massage you’ve ever had. Think Panda Bear’s Young Prayer with more delay and a better voice; if Eno had Music For Airports, then Barwick’s newest is music for skygazing: beautiful, open, and ever expansive. The album’s main instrument is Barwick’s voice — one which she uses to great effect. Mostly wordless vocals make up the hymn-like songs. “Envelop,” the album’s opener, evokes an inner joy while the delayed guitar of “Bob In Your Gait” gives way to simple piano lines coupling with Elizabeth Frazer/Cocteau Twins-esque vocals. Songs don’t stand out on The Magic Place as much as they sway in and out of each other. Barwick has noted that the titular “magic place” was a tree that “grew up, down, and around” the backyard of her Louisiana home. Throughout this album, Barwick’s songs grow the same way for the listener.